Signs Visual makes custom vinyl banners for scaffolding and temporary construction fences in New York City. Our scaffold banners are perfect to display your brand messaging and show your clients that you are still open despite the renovation phase that your building is going thru. We can customize your scaffolding signage to your specs. Typically they are 4 ft in height and run in lengths of 8 ft , 16 ft, or 20 ft or longer. 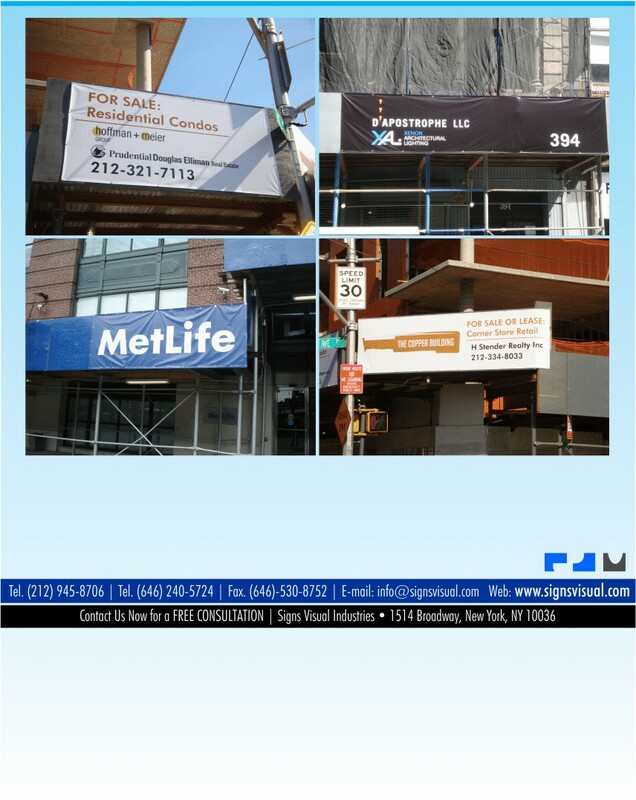 Contact us now for your free quote on your next scaffold banner project in New York, NY.